This is the third in a series of "Ten Things" presentations, in which Jon Manning, the Founder & Managing Director of PricingProphets.com, looks at ten ways to better present your pricing. in which I look at 10 historical pricing milestones. At PricingProphets.com, we've just launched a series of videos called "Ten Things". In this first episode, I talk about the Ten Things Every Accountant (and their Clients) Should Know About Pricing. 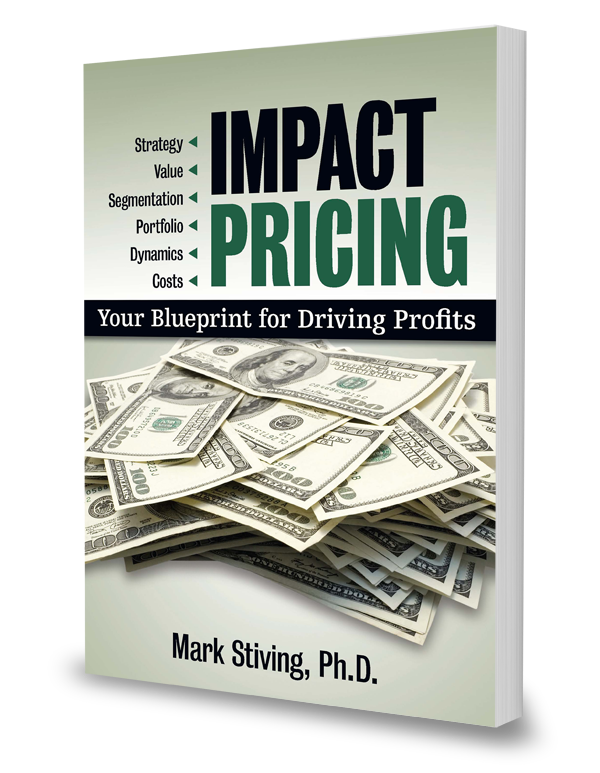 How can anyone possibly write a Pricing book that has two glaring omissions: (1) it does not distinguish between Business-to-Business (B2B) and Business-to-Consumer (B2C) pricing, and (2) it does not talk about price elasticity? 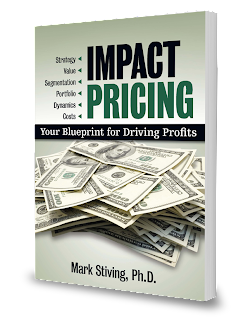 The answer is “very easily”, when you are Mark Stiving and you’ve just published “Impact Pricing”. The book focuses on B2C examples because, the fact is, that's what readers are most familiar with. But readers interested in business markets are not disappointed, as Stiving cleverly illustrates where consumer pricing concepts and strategies apply to business markets throughout the book. For me, the real highlight of this book is Chapter 4, which could easily have been titled “An Idiots Guide to Value-Based Pricing", so clear, concise and well-structured is the chapter (as is the rest of the book). It doesn’t matter if you work for a company that’s small or large, selling goods or selling services, or operates in business or consumer markets, there is something in this book for you. This is also, in my opinion, the first book that caters to the needs of the start-up / entrepreneur community, which makes it THE pricing book for the 21st Century. With this in mind, it should come to the surprise of readers that Stiving blogs at the appropriately-named www.PragmaticPricing.com.